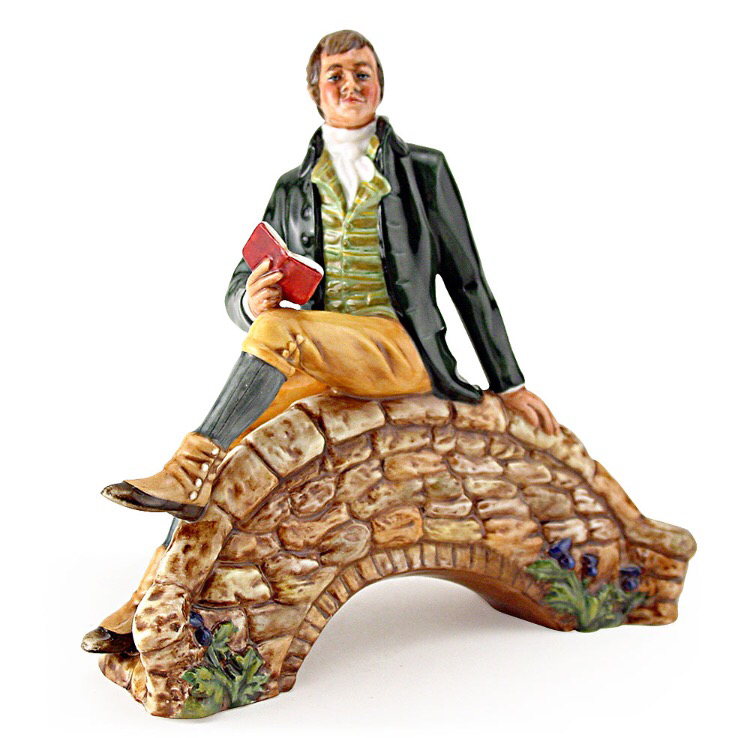 With Burns Night about to be celebrated around the world, I decided it was time to look at Doulton’s commemoratives to Scotland’s national hero. Robert Burns scenes 2 & 3, with Scotch Girl HN 1269. A Burns supper is a celebration of the life and poetry of the Scottish poet Robert Burns. Burns suppers are usually held on or near the poet’s birthday, 25 January and the occasion is more commonly known as Burns Night. 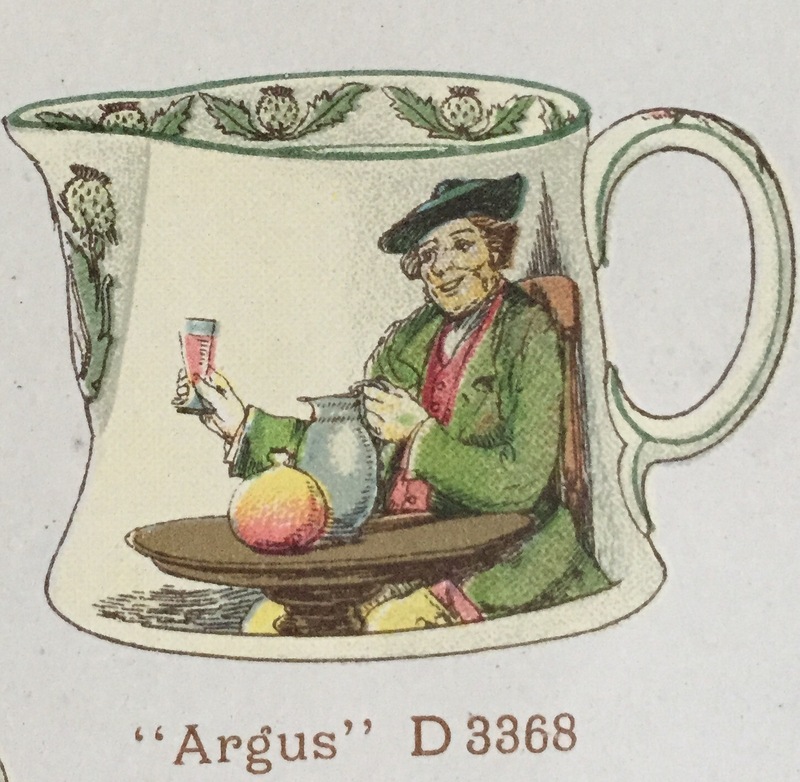 Burns seriesware plate Pattern C.
A piper generally greets the guests and everyone stands as the main course is brought in – haggis. 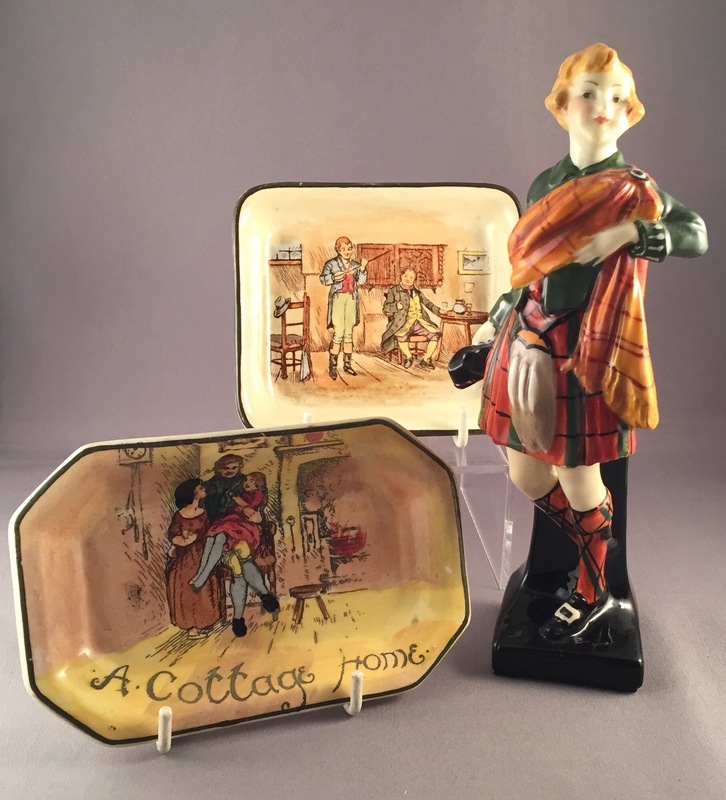 Doulton’s love of all things Scotch is apparent from the number of Scottish scenes featured on their famous hand painted wares by leading artists; the Figures in their HN collection in national dress and of course the many Scottish themed series in their series ware collection. 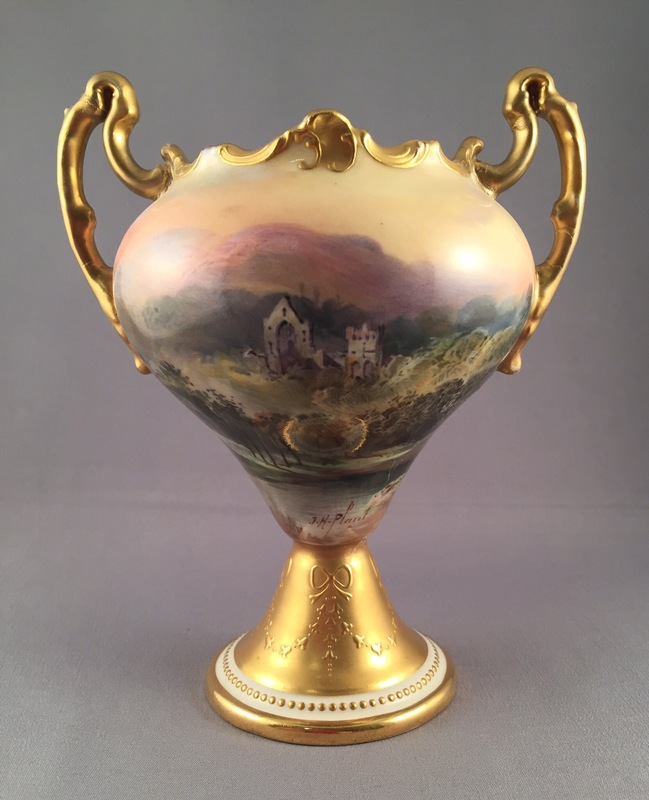 Handpainted vase with Dryburgh Abbey in the Borders by Plant. 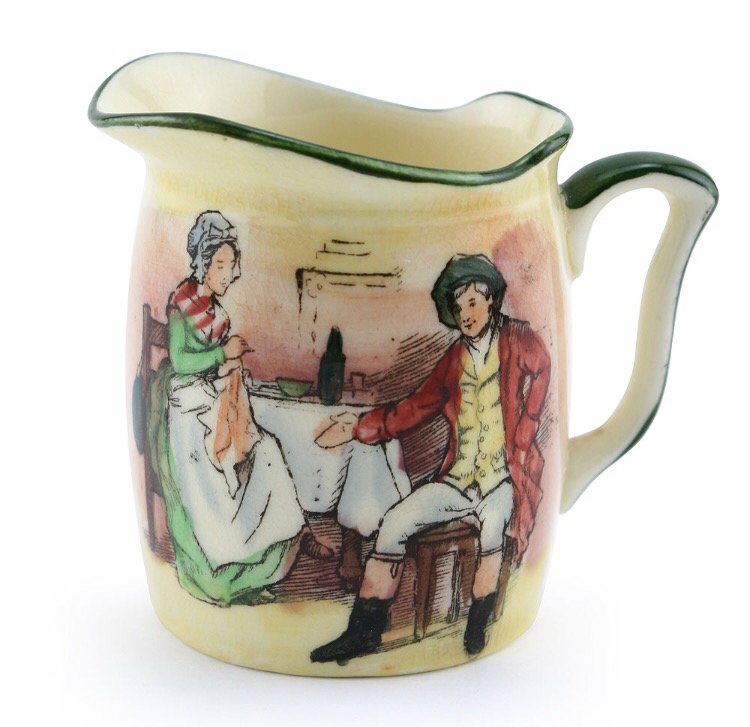 Miniature Burns seriesware pattern B jug. 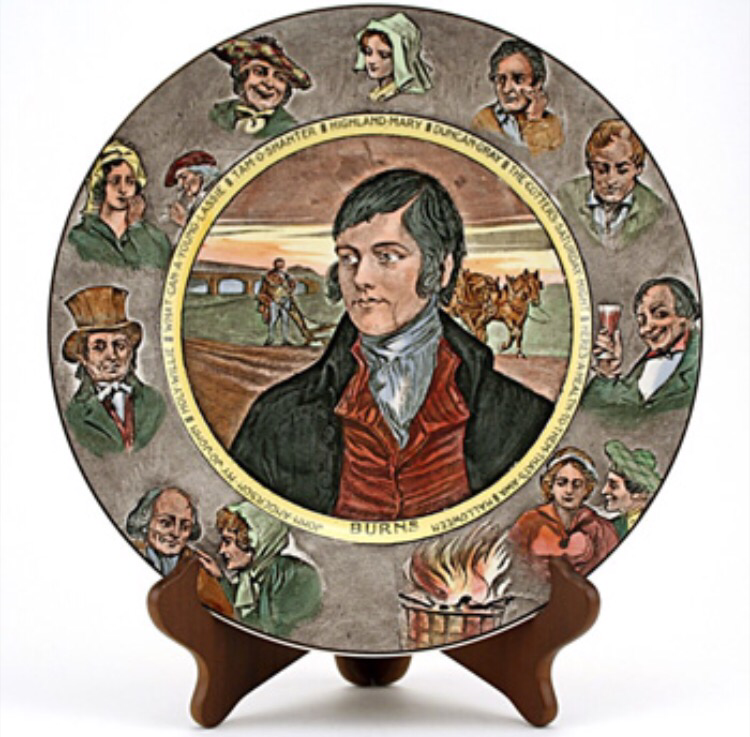 Burns can himself be found immortalised in the HN collection and also tributes to him are plentiful in the series ware range with three different patterns.